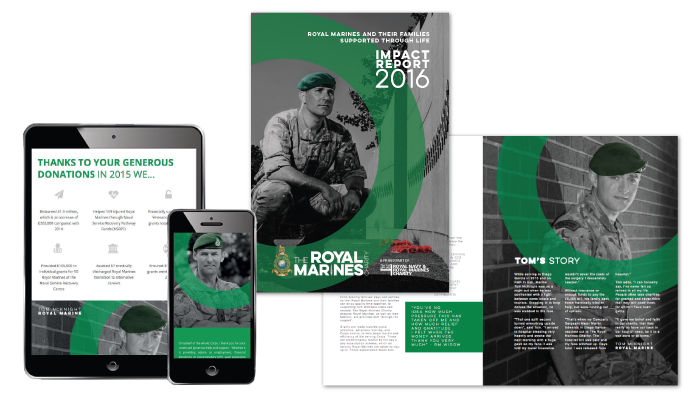 Each year, the Royal Marines Charity produces an Impact Report, an annual report for supporters and beneficiaries of the charity, outlining the work undertaken and funds allocated. The charity came to us in the summer of 2016 for design and copywriting support to revitalise the report, and give it a clean, modern feel. Laden with examples of different reports, styles and finishes, we worked to define what the client preferred. From this, we developed a creative concept, which hit the spot. The team also produced infographics to bring the figures to life, and supported with copywriting. 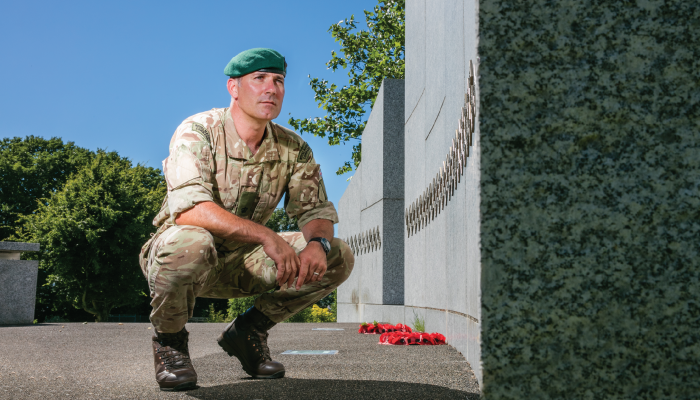 The result was an eight-page report, printed and distributed to 3,000 supporters of the Royal Marines Charity. Client feedback was excellent, and we have since provided additional support for the charity; designing a newsletter template about the Impact Report and social media images, which will help publicise it across digital channels. To draw even greater awareness of the charity within the Royal Marines corps and their surrounding communities, we designed promotional signage that is now displayed at commando bases across the country.